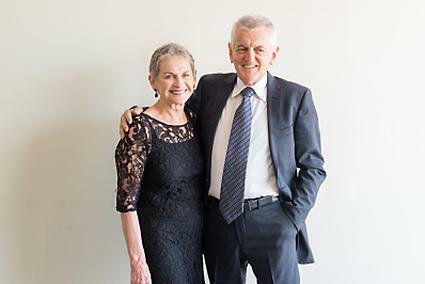 Choosing the proper outfit for a charity event can be challenging, especially if the invitation does not include any information about a specific dress code. 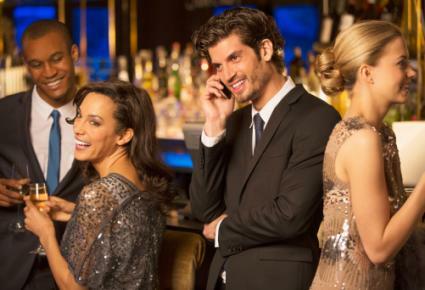 You want to avoid being too dressed up or down and show respect for the event and host with the appropriate attire. Fortunately, decoding dress code clues can help you make the right choice every time. 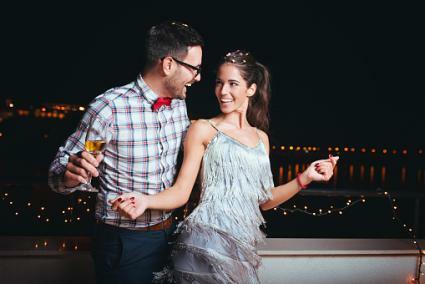 Charity events such as balls and galas serving as fundraisers typically require one of these four types of formal attire. Use the guidelines to decipher the formal dress code options for any event. For women, full-length ball gowns are de rigueur. Accessorizing them with full-length opera gloves is an optional but beautiful touch. 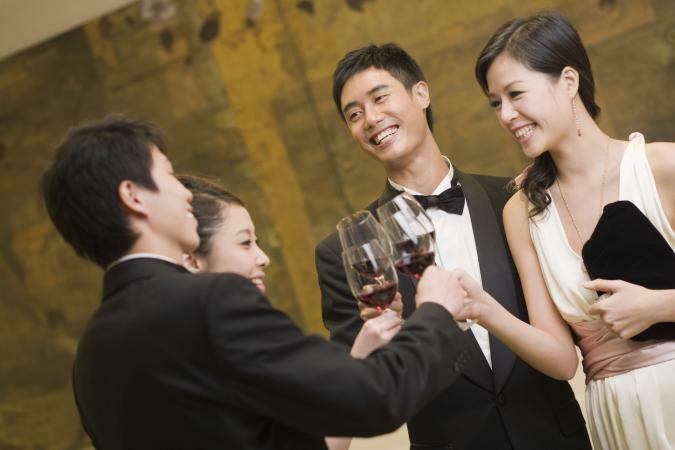 Men: For a winter or fall black tie event, men wear a black tuxedo with a white, pleated front tuxedo shirt. 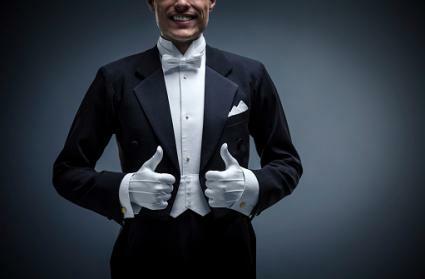 Braces, vests, gloves and cummerbunds are optional, but they should wear all the other white tie accessories. For spring and summer events, men substitute a white tuxedo jacket for the black one. Black patent shoes and black dress socks complete the outfit. Women: Full-length ball gowns, cocktail dresses, and elegant little black dresses are appropriate black tie apparel for women. Men: Men may enjoy experimenting with a trendy mixed media look like pairing a silk blazer or outrageously printed tie with a dress shirt and pants. Women: Appropriate dress for women ranges from a floor length gown to dressy evening pantsuits to a mini cocktail dresses, but should include some trendy accessories. The hidden meaning of this dress code is men can choose to wear a tuxedo or not, but formal attire is still required. Men: Individuals who do not own a tuxedo or do not care to rent one should wear a dark navy or gray suit with a white shirt and a solid color tie or one with an ultra-conservative print. Dress shoes should coordinate with pant color; socks should match pant color. Women: Ladies wear gowns and cocktail dresses in any variety of hemline options or evening pantsuits. Men: Men wear a dark suit, preferably navy or gray, dress shirt, and tie. Vests are optional. Finish the look with dress socks to match the color of the pants and leather dress shoes. Women: Women wear short or tea-length dresses, elegant little black dresses, or evening pant or skirt outfits. Men should wear a suit and tie. Best suit color choices are navy blue or gray rather than black. Finish off with leather dress shoes and socks to match the slacks. Women can wear dresses in any length except full-length or evening pantsuits. Consider the venue for some clues. Is it an indoor or outdoor charity event? Will it take place at an art museum, opera house, or other formal environment or a casual venue such as an outdoor arena, golf course. or park? Is it a seasonal event such as a Halloween fundraiser or a Christmas gala? Most invitations that specify festive attire are holiday related, so you are usually safe if you add a festive tie or scarf to whatever you are wearing. Men should wear sport coats or blazers paired with dress slacks and a collared dress shirt. Leave the collar open and unbuttoned if you want; if you button the collar, you'll need to add a holiday tie or bow tie. Women look smartly attired in cocktail or tea dresses, dressy skirt or pant dresses in holiday colors, or little black dresses adorned with festive accessories. This type of dressed-up casual attire goes by many names; dressy casual, business casual, or country club casual are also used. These charity events range from brunch and luncheon fundraisers to less formal evening events. Women can opt for dressy skirts, dressy separates, or dresses without a lot of sparkle and bling. Men should wear dress slacks, collared shirts, and casual footwear like loafers. For men who prefer a continental look, a navy blue blazer is an iconic touch. In spite of your best efforts, there may be times when you just get it wrong and show up at a charity event in inappropriate clothing. Try to relax and enjoy yourself anyway because the most important thing is raising money for a good cause, not stressing over your outfit. Keep practicing until you master proper dress etiquette techniques and before you know it, choosing the appropriate ensemble for any charity event will seem like second nature to you.